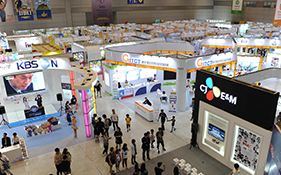 Since 2006, ACE Fair has become the largest specialized exhibition in Kimdaejung Convention Center. It is enjoyed by global media professionals as well as everyday consumers. 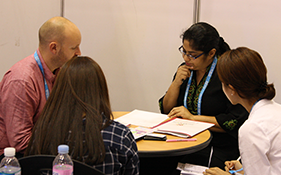 ACE Fair is a B2B exhibition that provides companies with a chance to expand their business network and discover new opportunities with both Korean and international partners in a comprehensive market of all things related to entertainment content. 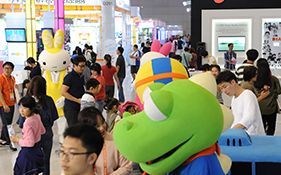 ACE Fair is a B2C exhibition that provides everyday consumers with a chance to experience the latest trends of Korean and international culture content in the entertainment industry. 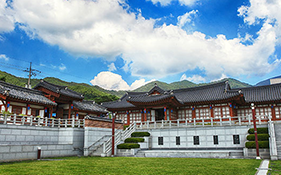 ACE Fair runs a tour program which allows people to enjoy local Gwangju tourist sites and experience Omae (the five attractions) of Gwangju. *Please enter following information to start download. Kimdaejung Convention Center handles collecting and possessing all personal information to ensure the protection of such information, and to preserve any confidentiality necessary under the related legislation. Possession Period : In accordance with the Information and Communication Network Act and the Personal Information Protection Act, when personal information becomes unnecessary, such as the expiration of the period of personal information retention and the achievement of the purpose of processing, the personal information shall be destroyed without delay.